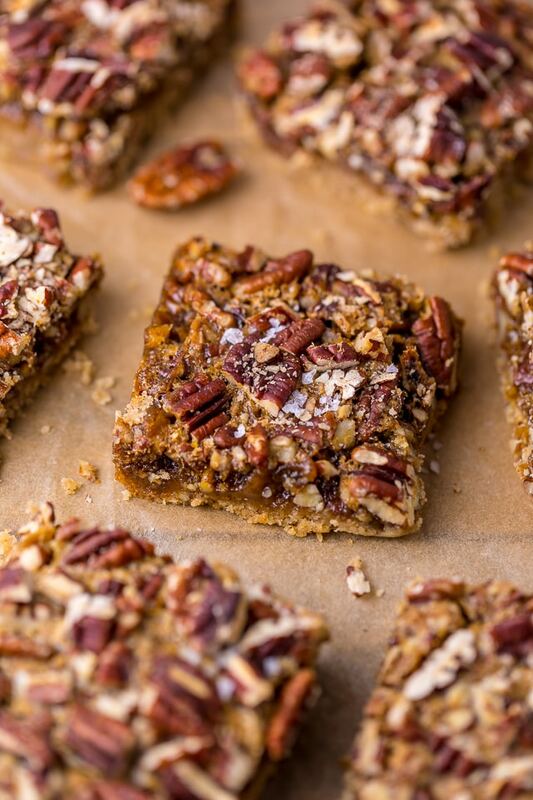 This recipe for Pecan Pie Bars is sponsored by Stevia In The Raw®. I’m slowly easing into Fall, but quickly easing into pie season! 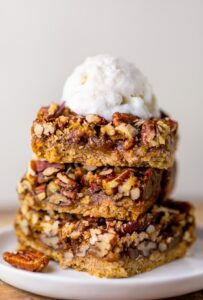 And today I’m sharing with you a fun twist on a holiday classic: Pecan Pie Bars! These compact cookie bars feature a buttery crust, gooey filling, and plenty of crunchy pecans. Plus! They’re lightened up thanks to Stevia In The Raw® Bakers Bag. I was able to cut the brown sugar typically called for in half (!!! ), which helped reduce the calories and sugar content in this recipe dramatically. And swapping in Stevia In The Raw® Bakers Bag could not be easier, as it’s formulated to measure cup for cup with sugar, so no conversion is necessary. Trust me when I say you cannot taste the difference! In fact, I gifted a batch of these pecan pie bars to our mailman last week and he wrote me a letter thanking me and declaring they were the BEST he’s ever had. And he doesn’t even typically like pecan pie. I was honored! To lighten these pecan pie bars up, I swapped half of the brown sugar called for in the crust and filling with Stevia In The Raw® Bakers Bag. I’m thrilled to say this swap shaved hundreds of calories off of the recipe, without changing the taste or texture. Light brown sugar may be used in place of the dark brown sugar, but should not be replaced with granulated sugar. 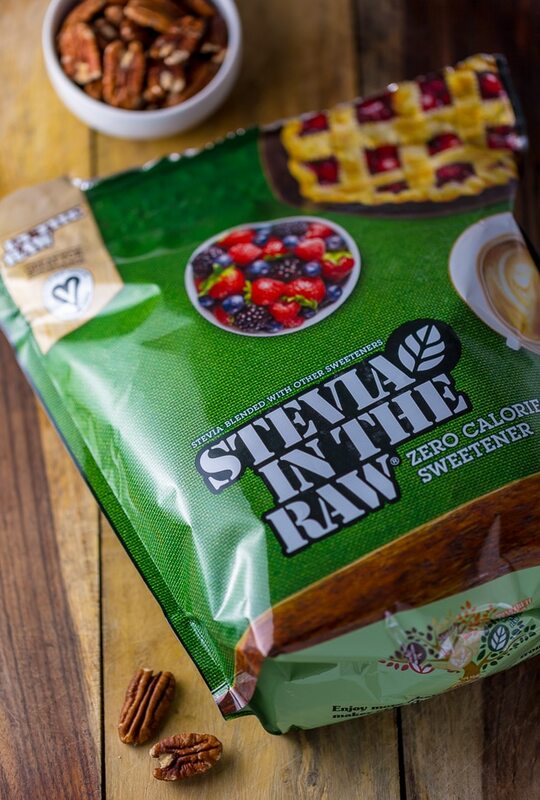 And while you might want to replace all of the sugar and just use Stevia In The Raw® Bakers Bag, it is recommended that you only replace half, as some sugar is required in order to achieve the proper browning, rising and caramelizing only sugar can provide. For best results, be sure to toast your pecans before chopping them! This extra step really helps maximize the pecan flavor. 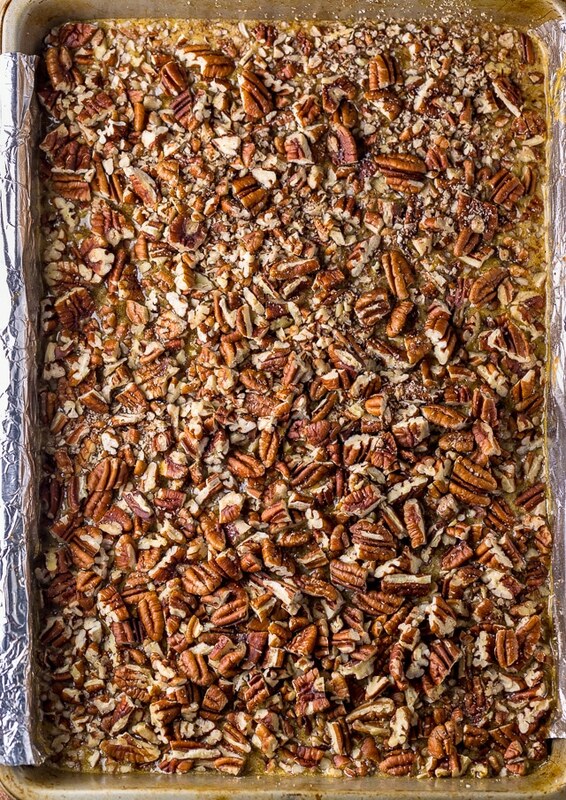 If you try this recipe for Pecan Pie Bars, leave a comment below and don’t forget to snap a pic and tag it #bakerbynature on instagram! Pecan Pie Bars have a buttery crust, gooey filling, and plenty of crunchy pecans! Preheat oven to 350 degrees (F). Line a 9x13 inch baking pan with parchment paper, allowing the sides to overlap. Spray the parchment paper and exposed pan with non-stick baking spray and set aside. 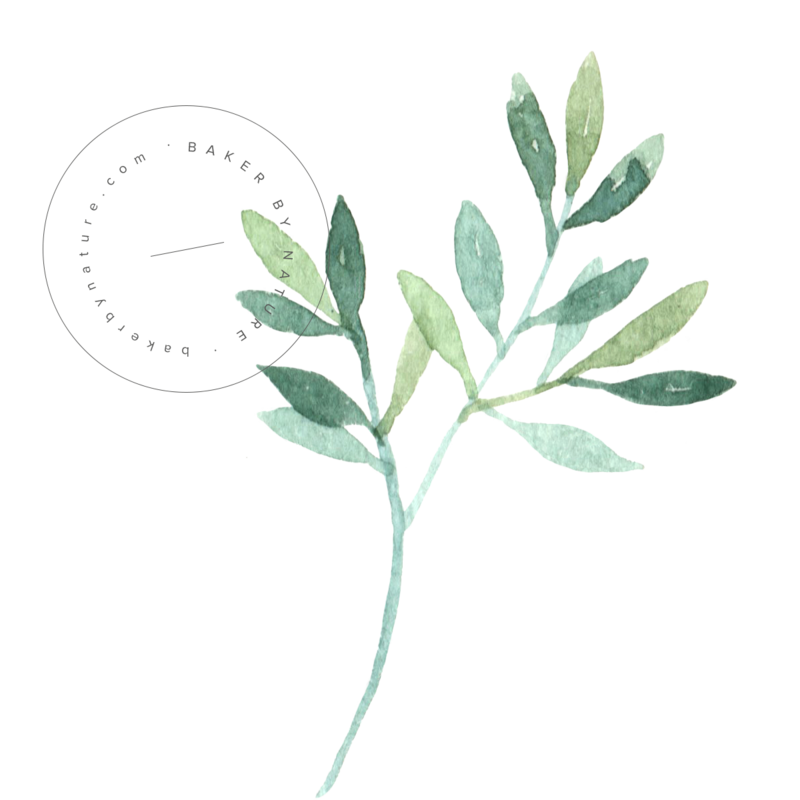 In the bowl of a food processor or blender, combine the flour, baking, salt, brown sugar, Stevia In The Raw®, and pecans; pulse until the mixture resembles a coarse meal, about 6 pulses. Add in the butter and pulse until the mixture is cohesive, about 8 pulses. Using a rubber spatula, scrape the mixture into the prepared pan. Pat the crust into an even layer and bake for 20 to 22 minutes, or until the crust is golden brown and it springs back when lightly touched. While the crust is baking, make your filling. In a large add the melted butter, dark brown sugar, Stevia In The Raw®, corn syrup, molasses, vanilla, and salt; whisk well to combine. Add in the egg and egg yolks and whisk until combined. 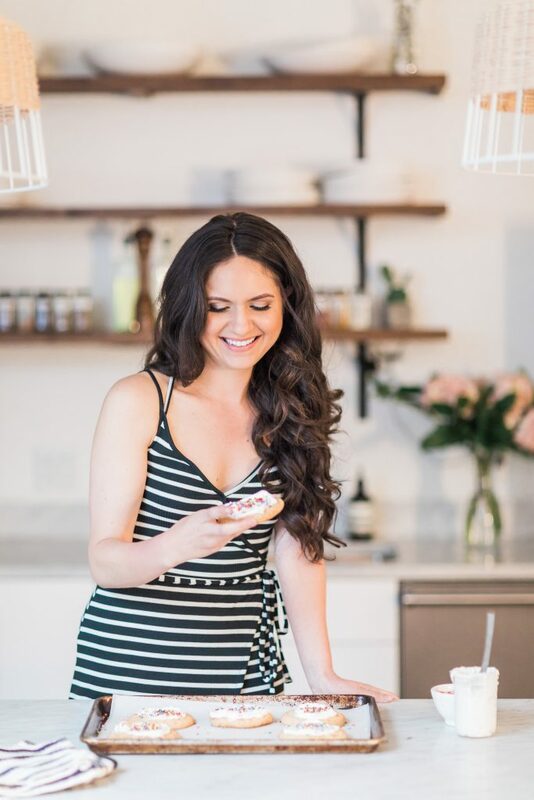 Another amazing recipe from you Ashley! I am gonna make this at home. Your instruction is very easy to understand. Wish me best of luck. ahhh these bars look super delish (love the salt on top too!) and the stevia in the raw looks fantastic! Is it 2 cups of All-purpose flour or 10 ounces? 10 ounces is 1 1/4 cup. Confusing! Can I use a full cup of brown sugar rather than the stevia? Also, how long will these keep if I make them ahead? Thanks!